I didn’t get to see many films this week, and I don’t think I could’ve chosen two more diametrically opposed in tone if I tried. On the plus side, I get to talk about an animated film for the first time in this series. Three months have passed since Syndrome’s defeat in the original film. The Parr family, Bob, Helen, Dash, Violet, and Jack-Jack, have continued to operate under their superhero identities. Picking up in the final moments of the original, the Underminer has robbed the Metroville Bank. Despite the family’s best efforts, the villain gets away, and the authorities chastise them for the enormous property damage they inflicted attempting to stop him. To make matters worse, the department’s “Super Relocation” program is being shut down, forcing supers across the world to adhere to their secret identities permanently. Fortunately, all hope is not lost, family friend Lucius Best (a.k.a. Frozone) informs Bob and Helen that an eccentric tycoon is proposing a publicity stunt to get the general public interested in making superheroes legal once more. I was among those who saw The Incredibles back in 2004. I definitely thought it was one of Pixar’s best efforts, and now that I’m old enough to appreciate its deconstructive elements, I can see why it’s still held in such high regard. Pixar has generally had an excellent track record when it comes to sequels. The only meaningful exception to this rule would be the Cars trilogy, but because the original was, at the time, the least acclaimed film in their canon, it stands to reason the sequels wouldn’t fare any better. Not coincidentally, the only other follow-up considered a significant step down from the original was Monsters University, which was a prequel. The original is certainly a classic, so Pixar had their work cut out for them – especially fourteen years after the fact. Did they succeed in creating a worthy follow-up? I would say they did, though I don’t think it quite reaches the same level as the original. One of the things that made Finding Dory a great sequel was that the creators went off in a different direction with the canon. Though the writers do manage to go in interesting, new directions with Incredibles 2, particularly with Helen’s character, it does feel like it’s more of the same. To be fair, it’s more of the same of an exceptionally high-quality product. Even so, I have to admit the twists were a little predictable, though there were a few that caught me by surprise. |I was expecting the tycoon to have an ulterior motive, but it turns out he was entirely on the level. His sister on the other hand…| Fortunately, the shortcomings are more than made up for by what it does right. The action sequences are absolutely stunning technical achievements, and the Parrs are very likeable characters as always. All in all, though not quite as good as the original, Incredibles 2 is a solid sequel. The police have just captured a fugitive by the name of Iwao Enokizu. They had been on this man’s trial since he committed a series of murders within a two-month period. They guide him through a throng of journalists and angry civilians to a cell. Their initial attempts to question him prove futile when he refuses to answer. It is through a series of flashbacks that we learn more about Enokizu and what exactly his crimes entail. Vengeance is Mine is based off a book of the same name written by Ryūzō Saki. It details the exploits of a real-life serial killer by the name of Akira Nishiguchi, whose name was changed to Iwao Enokizu for the film. His killings spanned from October to December of 1963, and he was apprehended a few days into the following year. As punishment for his crimes, he was sentenced to death in December of 1970. Nishiguchi is one of the country’s most infamous serial killers not only for the five people he killed, but also having engaged in multiple confidence scams. Such was the impact of his crimes that they led to the creation of the Japanese “Metropolitan Designated Case” system. The seventies was remarkably gritty decade for films, and I got many of the same vibes from Vengeance Is Mine as I did from several New Hollywood-era classics. For those who really enjoy those types of film, this one is worth a watch. 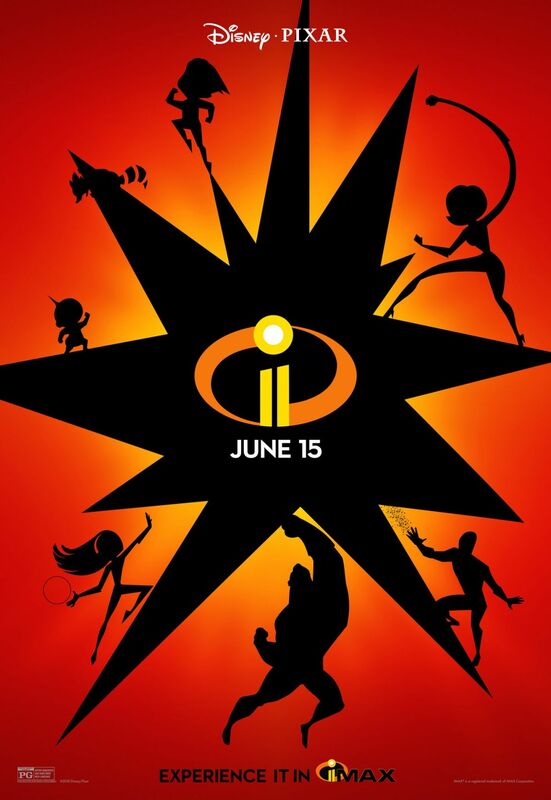 I can’t wait to finally watch Incredibles 2. It releases next month for us in the UK, which is a real disappointment. Pixar are incredibly talented and usually offer very technically gifted storytelling and cleanest scripts in animation. While I personally loved the original Cars film despite the lukewarm critical reception (perhaps because of nostalgia as a child), I defintely agree about the Cars trilogy as a whole that it has been treading on shaky ground over the past two films. Still, the original Incredibles film was brilliant in many ways and, from reading your review and other people’s reviews, it seems clearer that they at least find new ways of building around the central story and characters. I know they had a bad habit of tacking on a few extra months onto the release of video games in Europe for the longest time, but they do that with certain films too? That’s irritating. The good news is that I can tell you you’re in for a treat. Yeah, Pixar may have had a few missteps over the years, but they have top-tier talent on their writing staff. It’s amazing that more than two decades later, they’re still one of the best names in animation. Yeah, it’s a shame because I was really excited to go and watch it, thinking it was released at the same time as everywhere else and then realising it wasn’t. At least I’ve got something to look forward to haha. Definitely agree. There’s a reason they’re so widely respected in animation, as well. It’s the whole collaborative process of their films that shine through, showing talent in every aspect of their creative work. Here’s hoping for more of the same! I’m going to be honest, I think Incredibles 2 is the best super hero movie of this decade, probably the best since The Dark Knight, maybe even the best since the original Incredibles. I also think it’s one of Pixar’s greatest achievements, and I might say their best sequel to date (Toy Story 2 is the only one that might put up an argument. I’m in the minority who thinks that Toy Story 3 was “merely” middle-tier Pixar). Easily Pixar’s best film since Inside Out. I admit, it took me two viewings to come to that conclusion though, so if you haven’t and are interested, I recommend seeing it a second time. The first time I saw it, I greatly enjoyed it, but felt it fell short of the original. After a second viewing, however, well, if they aren’t tied, then the difference in quality is so minimal it doesn’t even matter. Either way, I don’t think I’d rate either Incredibles films anything lower than a 9.5 (I plan on reviewing both of them soon, but first, I may write why I think this two movie series is superior to every other super hero movie franchise out there). And I’ll go ahead and say that Brad Bird is my favorite working American filmmaker (I even enjoyed Tomorrowland, though I fully admit it’s his most flawed film by far). That’s quite a claim, though it’s a pretty solid choice, I’d say. I would lean a little bit more toward Toy Story 2 myself when it comes to the subject of Pixar’s best sequel, though Incredibles 2 is probably a close second. Then again, I haven’t actually seen Toy Story 3, and I think it’s about time I set aside time for that at some point. I generally don’t see films twice in theaters, but I might end up watching it a second time when it comes out on video. Looking over Brad Bird’s filmography, I just realized I’ve seen all but two of them – Ratatouille and Tomorrowland. The exact reason I didn’t end up watching the latter is because it didn’t gather enough acclaim for me to show interest in seeing it. Otherwise, you’re right – he may not have directed that many films, but all of the ones I have seen are keepers (I was really surprised to learn he directed Mission: Impossible – Ghost Protocol). I was lucky enough to get one of the first showings on Friday! Hope you end up liking it. Fourteen years of real world time gap is three months in the creative canon. That sounds about right. That’s how it works in comics; Batman has been ?? years old for decades! I liked The Incredibles 2 well enough. I don’t think I have ever laughed so much in a movie theater or seen such a genuinely thrilled audience as the one that was watching it alongside me, but I don think it has a bunch of shortcomings, such as leaning too closely towards the plot of the original and being a movie that is obviously divided into two pieces (Helen’s adventures as Elastigirl and Bob trying to hold things together at home) that never truly merge. In other words, the first one was clearly better in my mind. Yeah, the audience I saw it with was pretty enthralled as well. That said, Incredibles 2 is a textbook token sequel. When that happens, it’s too easy to compare with the original and see how it comes up short. Part of what made Toy Story 2 and Finding Dory great was that they went in completely different directions with their canon whereas Incredibles 2 was more of the same. To be fair, it’s still more of the same of an exceptionally high-quality product, but I lean more toward the original myself.